These are some of the different kinds of tulips. Those are some beautiful Tulips. I love all the different types and colors. WOW! Such beautiful tulips! They're my fave:) I love the details on the last one! Happy WS and TF:) Mine is up! wow ... so gorgeous! lovely lovely shots! Those are gorgeous flowers and so well photographed. i love Tulips!!! and yours are lovely!!! What lovely photos of the Tulips. Beautiful colors all like them all. I too am playing for the first time. 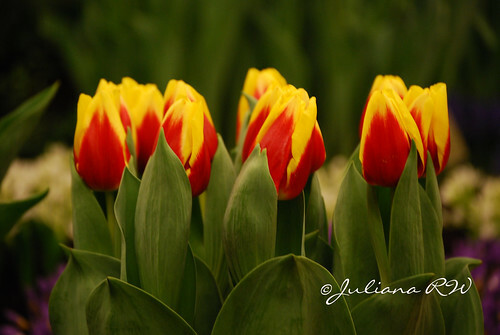 Juliana: You certainly captured a lovely group of tulips. Thanks for sharing the opening of TF. Lovely! I particularly like the third photo, with the frilly pink tulips. They are beautiful! Your "Guest Friend" post on Today's Flowers has some beautiful photos, too! TODAY'S FLOWERS thanks you for posting here! Ah, spring! Love the top ones the best. All are precious. Beautiful - there are a couple of varieties there that I've never seen before. My city, Melbourne, is famous for its annual tulip festival. 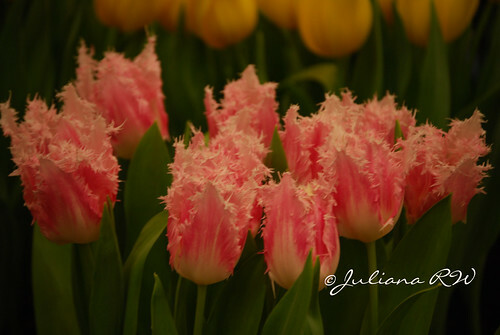 I love the "flufffy" tulips - so different from the normal ones! Wow, they are amazing tulips! Very beautiful pictures. Beautiful Tulips. There are so many varieties these days yet I still love the old favourites. They are really true miracles of nature. I was going to say I really like the red and white ones and then I saw the frilly ones. I would just have to take them all. They are just strikingly beautiful. Your photos are gorgeous! I really like these and the one on the Today's Flower meme are equally beautiful. Wow! 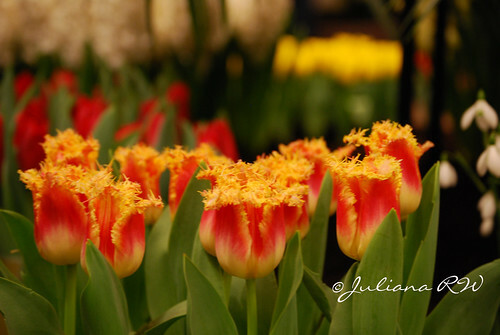 That is the most amazing collection of beautiful and different tulips I have seen! And lovely shots! Lovely tulips!! I agree that the striped ones are beautiful, but my favourites are the parrot ones, with the frilled edges! OMG! These are wonderful. Congrats for having such a pretty entry of today's flower. Oh these are breathtaking! I'm so looking forward to spring! So different kinds os tulips and all so beautiful. Congratulations! Your posts are very nice here and at TODAY'S FLOWERS. So lovely and very excellent shots of them, I can't choose a favorite as they are all beautiful. Congratulations for have the guest post today. 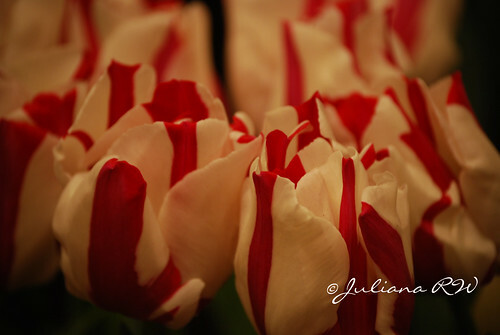 Great photos of these tulips, they are so beautiful. Thank you for sharing. They're beautiful! We have them imported here in Bangkok, and they're very expensive, sold by piece. What a beautiful variety of tulips you've got. I have not seen thos kind before. Wow,what wonderful colors! I especially like the first picture. Those are really lovely tulips. I love your shots esp the first one. It brings warmth. Have a blessed week! Great photos! Thanks for sharing, Juls. Beautiful shots that I would have missed had it not been for David at authorblog making you one of his Posts of the Day. But I have to say the two darlings at the top of the page are twice as lovely as any flower. Congratulations on jointly winning POTD over at David's. Absolutely brilliant! Gorgeous photography! Congrats on your POTD win! Well-deserved! Congrats for POTD. A well deserved win. your tulips are just 'out-of-this-world'. I love them all. And I love tulips anyways. Wandered over from another blog, because of your Winnie the Pooh profile pic. And you live in Den Helder!! My brother and family live in Julianadorp. What a small world. Live since '85 in Los Angeles and miss the yearly tulips. It's too hot for tulips here to thrive like in Holland. 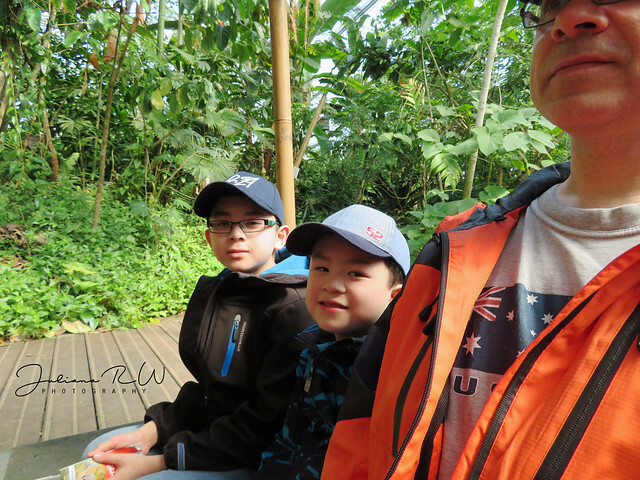 Thanks for sharing them on the blog! Absolutely beautiful! You captured them well. Hi, I came over from David's authorblog. Congrats on the Post of the Day Award. The tulips are beautiful. Your blog header is great!